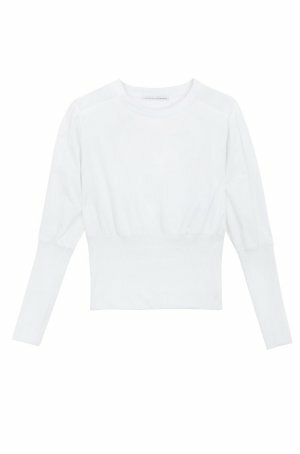 This top has rib details at the waist and sleeves. It is cut for a slightly loose fit at the chest and slim fit at the waist. Wear yours with skirts or jeans.